A 48 year old lady, originally from Scottsdale, Arizona requested plastic surgery after major weight loss. She came to my Scottsdale medical office for her body contouring surgery consultation. We sat down and had a lengthy consultation. I listened carefully to her cosmetic surgery wishes. We discussed several procedures, including breast surgery, body lift, thigh lift and arm lift with axillaplasty. Before cosmetic surgery, she is 5 feet 4 inches and 163 pounds after losing 110 pounds. She had her cosmetic surgery at a local plastic surgery center. She had major body contouring surgery, arm lift and thigh lift. She had an additional 18 pounds of skin and fat removed during he plastic surgery and is enjoying her new body. She now weights 145 pounds. 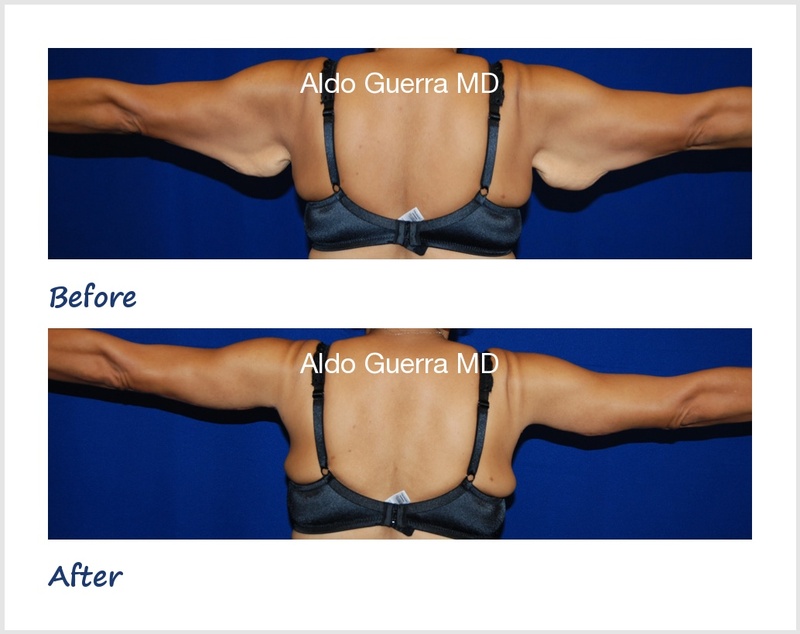 The photos demonstrate her results of arm tuck surgery at 6 months.